With the arrival of the "digital home era", people can set TV show broadcast schedules through the Internet and seamlessly link to places all over the world via mobile phones. Children can learn new things with tablets and play with interactive games. 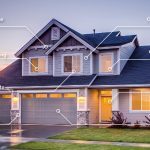 With the rise of the Internet of Things (IOT) and Cloud Services (and other new emerging network concepts and applications), network technology now supports high-speed multi-functional IOT devices that are pushing us out of the "digital home era," and into a new "smart home era." The trend of "smart home" applications can be found from Apple HomeKit platform and the packages introduced by MI and other various smart home manufacturers. The average family only needs to own a versatile network control center to easily manipulate the surrounding digital household products. A mobile phone can then be used to setup (via APP) the security sensor system for doors and windows, to turn on a smoke or gas detector in the kitchen, to remotely control smart light schedule and brightness. 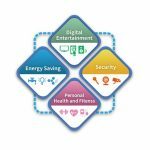 All sorts of intuitive applications can be used to achieve greater energy efficiency, security, automated detection, and comprehensive control of the home. In order to achieve and promote the new "smart home era", manufacturers must strictly control transmission performance, product function stability, and improve compatibility between IOT products. Therefore, to ensure quality performance, there is a need for professional testing validation and consulting services. 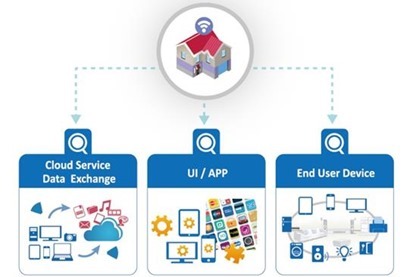 Allion has developed a set of customized authentication programs for smart home environments, covering three major smart home ecosystems-"Cloud Service/Data Exchange", "UI/APP" and "End User Device", which is expected to assist our customers in debugging and to provide advisory services in different stages of product development, and bring optimized user experience to the end-users as a result. Smart home quality verification services include Hardware Development Support, Software Apps Validation & User Experience Optimization, Cloud Service Validation, RF Signal & Interference Validation and Interoperability Testing. In addition to the product quality certification described as above, Allion has studied the transmission technology field for many years and is also accredited as a certified laboratory by a number of International Standards and Technology Associations, authorized to execute Wi-Fi, DLNA, Bluetooth, G.hn and so forth. 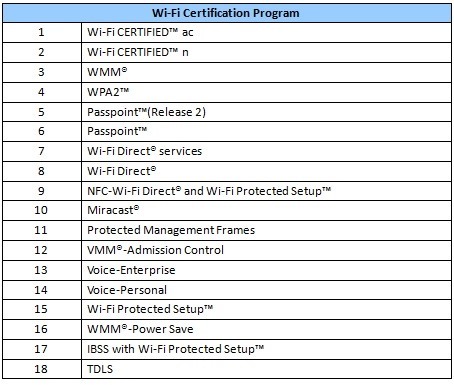 Allion is currently one of the only laboratories in the world that certifies all 18 Wi-Fi certification services (please refer to Figure 3: Allion comprehensive Wi-Fi certification services). At the same time, our dedicated Bluetooth laboratory and certified experts are also combined with Bluetooth and networking technology, to work on smart home test program. Allion, a key player in the field of home networking standards is the first HomeGrid Forum (G.hn) testing laboratory in Asia. Allion is now working closely with the Associations to promote G.hn technology, and is planning to launch standard certification services for power lines, coaxial cables, and telephone lines in June of this year. Through many years of accumulated experience and technology, Allion has assisted countless clients successfully launch their new products to market. In this way, we have become trusted partners with well-known international customers. From this experience we have come to realize that in the real world, even products that pass existing standards may face problems, such as poor performance and these problems cannot be always be perfectly simulated and verified in the laboratory. In the lab, precise execution of each test session, in terms of the product basic or functional levels, ensures that the products meet the specification and verification standards of the certification process. However there situations may arise that distort the results, either in terms of product interoperability or transmission performance. A laboratory is a controlled space and therefore less susceptible to outside interference; it therefore may not always correspond to the situation in a typical family living environment. In real life, wireless RF products are more susceptible to interference by other devices that reduce transmission speeds. Different use patterns, antenna setup angles, and wireless signal reflections may also indirectly influence product function. 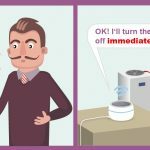 In order to better simulate real life, Allion this year is building a new "smart home test environment" to simulate the general user mentality, habits, behavior patterns as a starting point. With this new test environment, Allion can now operate and verify the quality and performance of the product design and provide innovative customized services in accordance with different customers demand for products. Allions’ new "smart home test environment", located nearby our Central Taiwan Science Park (CTSP) Branch, is a typical apartment with three bedrooms, two living rooms, and two bathrooms. This apartment matches a typical dwelling for a small family of three, with a master bedroom, guest room, and a child’s room. The new smart home test environment is furnished with basic home items such as a sofa, TV cabinets, beds, desks, wardrobes and so forth. We also purchased some common appliances and electronics, such as a television, wireless speakers, computers (desktop and laptop), wireless LED lights, and so on. 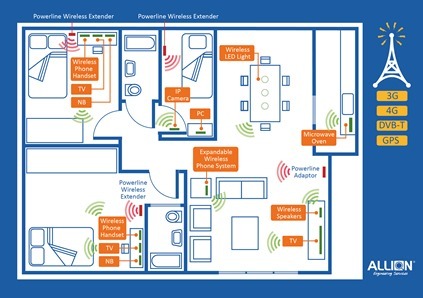 We installed these devices in different compartments with powerline wireless extenders, one-in-three wireless phones, and a microwave in the kitchen to introduce interference from other electrical products in the 2.4GHz band (see Figure 4: Allion Smart home testing environment). Our planned smart home test environment program is suitable for testing different products and test scenarios. 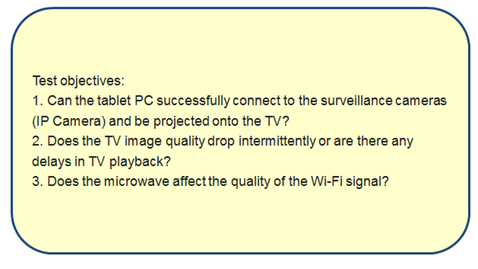 Here are two examples that will give readers a better understanding of our new smart home testing service. In addition to the two test cases listed above, the test subject can be extended and applied over various products. For instance, Bluetooth manufacturers can test whether there is any interaction between Wi-Fi APs and Bluetooth remote controls or headsets. 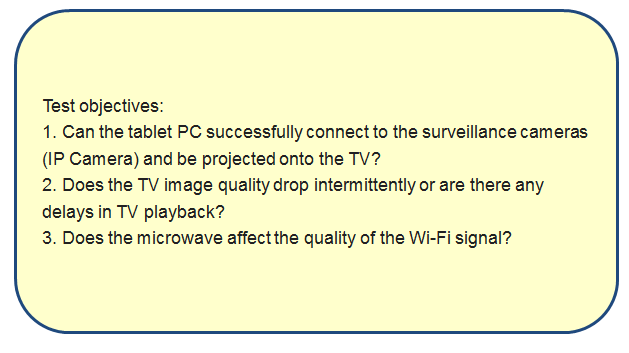 Additionally, manufacturers can verify whether or not wireless microphones affect LTE calls. 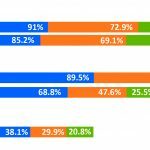 In turn, mobile phone manufacturers can test the performance of different branded phones using an authentic test environment. We firmly believe that with our new smart home test environment program, customers will be able to obtain better recommendations for their hardware, software, and user interface design. With this new test facility, Allion is ready to welcome the arrival of the imminent arrival of the Internet of Things. Allion has more than twenty years of experience in the electronic test services industry. We have leveraged our strength in standard certification and product quality analysis, to create this new smart home test environment. Herewith, we earnestly invite you to experience our excellent customer support and new innovative services! 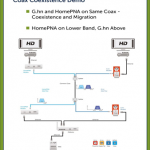 G.hn, the Ultimate Wired Broadband Solution?